Followers of ours will know we are fans of the PJ Masks television show and toys. 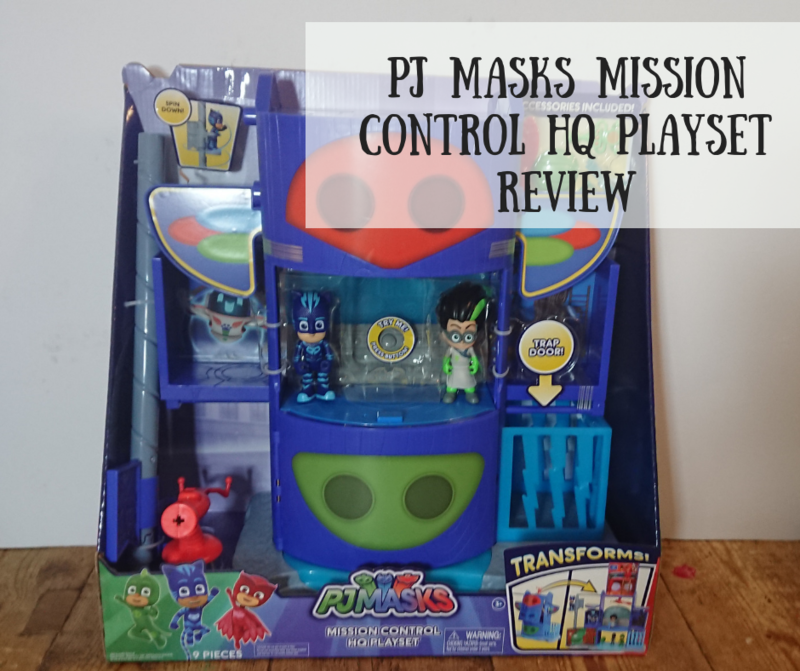 We have already been fortunate enough to review the PJ Mask Racers, Romeo’s Lab and the PJ Masks Robot so when we were lucky enough to be asked to review the PJ Masks Mission Control HQ Playset I couldn’t really say no! For those not in the know, PJ Masks is a Disney Junior television program about three children who at night become superheroes and fight the night-time villains… think Power Rangers for the 3+ year olds! 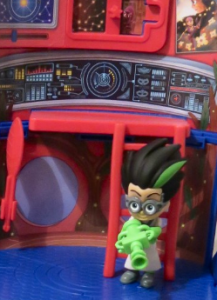 The PJ Masks Mission Control (rrp is £49.99 but you can find it as low as £34.99 online) is a huge toy and I was really surprised it wasn’t priced higher as some other popular character based products I have found recently. 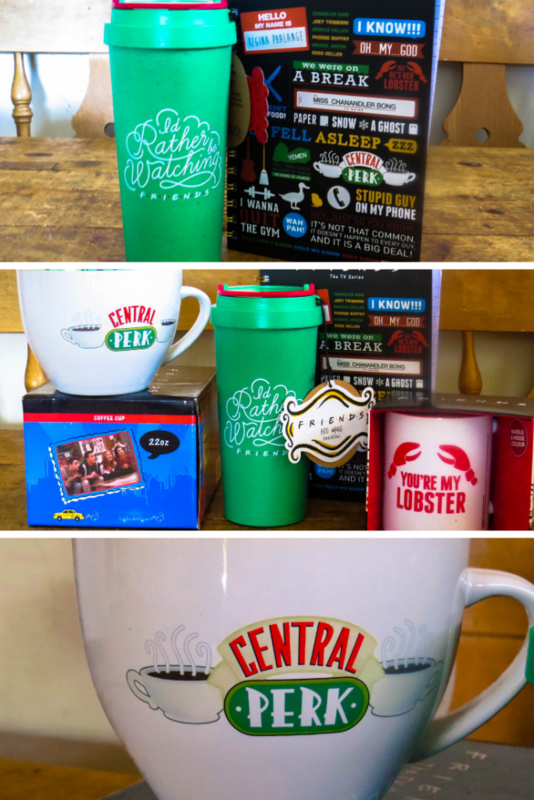 This present is much more affordable than a lot on the market which is especially important around Christmas time. It will take about 15 minutes and a decent pair of scissors to snip the tags off and set up the whole playset which isn’t too bad! I have hidden this away as a surprise Christmas gift for my little one so I’ll be able to lift it straight out of the box for her to play with. The set is aged at 3+ and so this is perfectly aimed at their Alyssa’s age for interactive play. Alyssa loves her figurines and will be excited to have another Romeo and Catboy and has got me to go and get her the last remaining villain figure she doesn’t have as well. There are 3 levels, a trap door and lots of hidden area as well as fun accessories for the characters as well – a great toy for imagination. Overall I was really impressed with the set-up. It DOESN’T look like the inside of their actualy headquarters but I don’t think that’s a problem as the outside does look like the totum and there are lots of parts to play with. I think Alyssa is going to love the trap and trying all the gadgets. I love that this folds down to be a smaller size when closed up meaning it’s easier to store when not being played with. 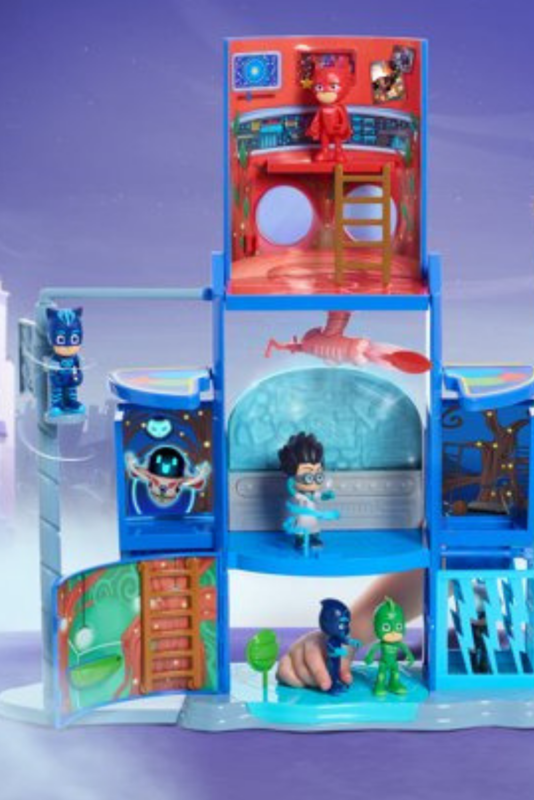 You can buy PJ Masks Mission Control HQ Playset from Smyths, Amazon and other toy retailers. 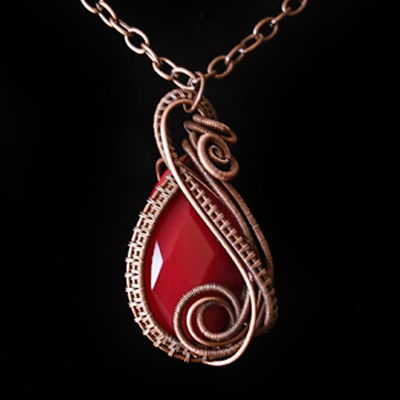 *This item was gifted for the purposes of review – all opinions are our own.